The US State Department has approved a possible Foreign Military Sale to the United Arab Emirates for Mine Resistant Ambush Protected (MRAP) Vehicles and associated equipment, parts, training and logistical support for an estimated cost of $2.5 billion. The principal contractors will be Navistar Defense in Lisle, Illinois; BAE Systems in Sealy, Texas; and Oshkosh Defense in Oshkosh, Wisconsin. There are no known offset agreements proposed in connection with this potential sale. 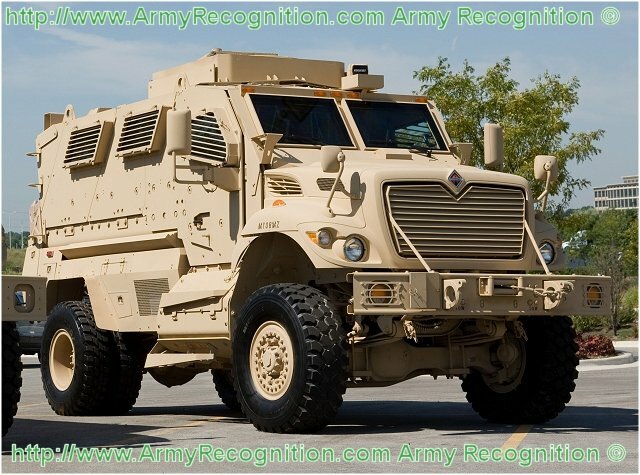 The Government of the United Arab Emirates (UAE) has requested a possible sale for the refurbishment and modification of 4,569 Mine Resistant Ambush Protected (MRAP) Vehicles (that include 29 MaxxPro Long Wheel Base (LWB), 1,085 MaxxPro LWB chassis, 264 MaxxPro Base/MRAP Expedient Armor Program (MEAP) capsules without armor, 729 MaxxPro Bases, 283 MaxxPro MEAP without armor, 970 MaxxPro Plus, 15 MRAP Recovery Vehicles, 1,150 Caiman Multi-Terrain Vehicles without armor, and 44 MRAP All-Terrain Vehicles) being sold separately from U.S. Army stock pursuant to section 21 of the Arms Export Control Act, as amended, as Excess Defense Articles (EDA). Also included are Underbody Improvement Kits, spare and repair parts, support equipment, personnel training and training equipment, publications and technical documentation, Field Service Representatives’ support, U.S. Government and contractor logistics and technical support services, and other related elements of logistics and program support.